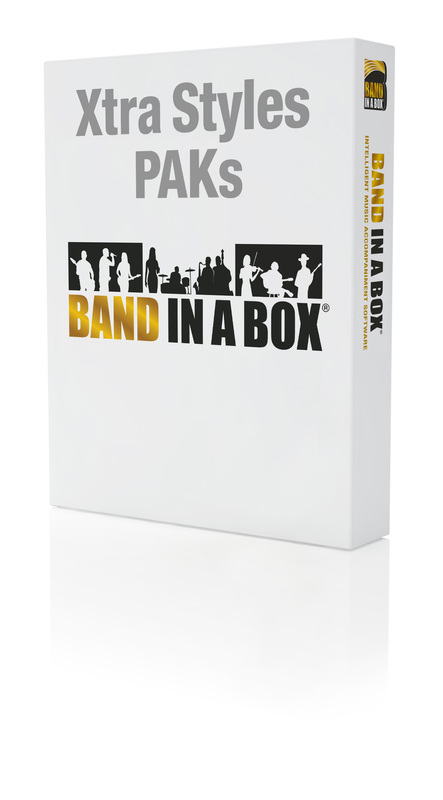 Give your projects new life or get inspired with Xtra Styles PAKs for Band-in-a-Box® and RealBand! Xtra Styles PAKs will add TONS of new RealStyles to your collection, spanning several genres like Jazz, Country, Bluegrass, Pop, Singer/Songwriter, and more! Every RealStyle is professionally mixed and uses a unique arrangement that has never been used by our previous styles. Spend less time mixing and more time creating, with Xtra Styles PAKs! $49 BUY & DOWNLOAD NOW ! Includes: Rock-Pop Volume 6, Jazz Volume 6, Country Volume 6, and Traditional Folk & Jazz 1. $294 BUY & DOWNLOAD NOW ! Includes: All Xtra Styles PAKs 1-6 (all Xtra Styles ever released). Note: These Xtra Styles require Band-in-a-Box® version 2018 or higher and use RealTracks from the UltraPAK or Audiophile Edition.